Boschendal Estate is one of South Africa’s oldest and most iconic wine farms, dating back more than 300 years. Set in the Drakenstein Valley between Stellenbosch and Franschoek, the estate is surrounded by dramatic mountain landscapes, lush gardens and vines that make for a truly spectacular setting. As well as being a renowned wine and food destination, the original Boschendal farmstead complex is today a national monument. 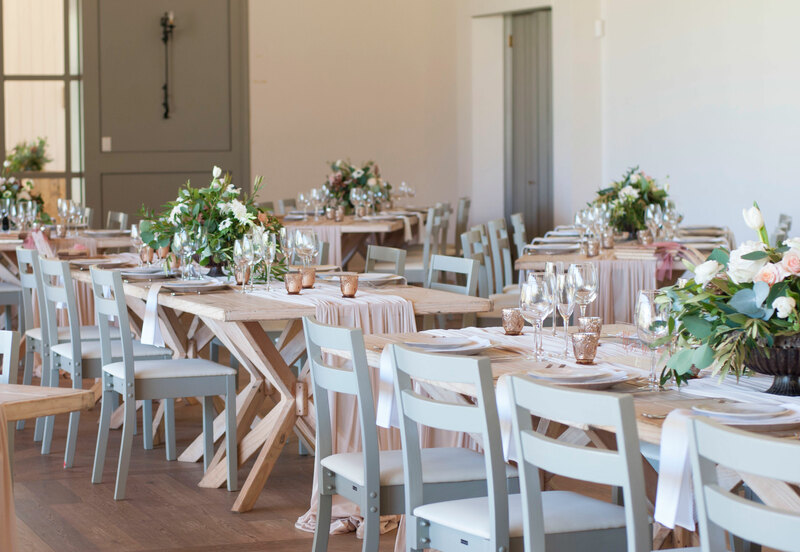 One of the most recent additions to the estate buildings is The Olive Press, Boschendal’s new wedding and function barn. The double-volume barn contains natural poplar roof trusses and floor-to-ceiling glass doors that maximise the incredible garden views and Groot Drakenstein mountain in the background. The venue can seat up to 350 guests indoors as well as in a covered outdoor area. 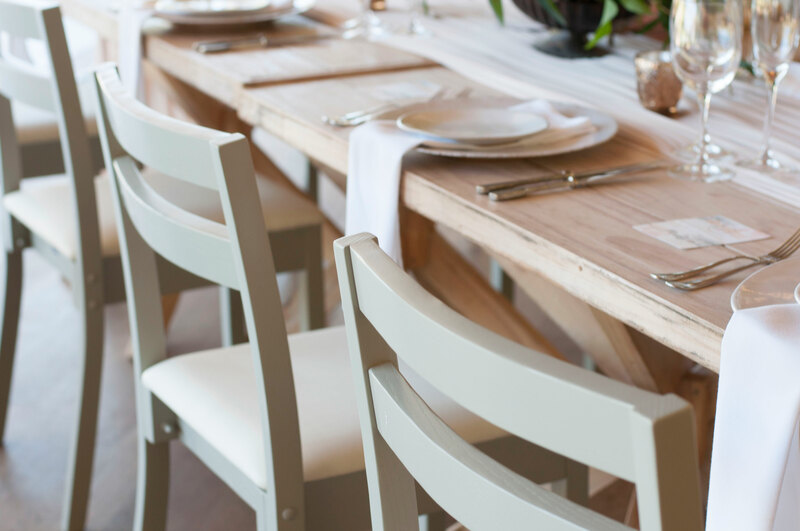 To match the chairs with the barn’s contemporary yet organic design, Boschendal chose a custom finish with a cream vinyl, giving them a modern and romantic look to suit any type of wedding décor. At the same time, the chairs remain minimalist and neutral enough to be equally suitable for corporate functions. The choice of cream vinyl for the seat surface isn’t just beautiful to look at though; it’s also a highly practical choice. It means that the seat surface is easy to clean and doesn’t stain, particularly in the case of wine or coffee spills. 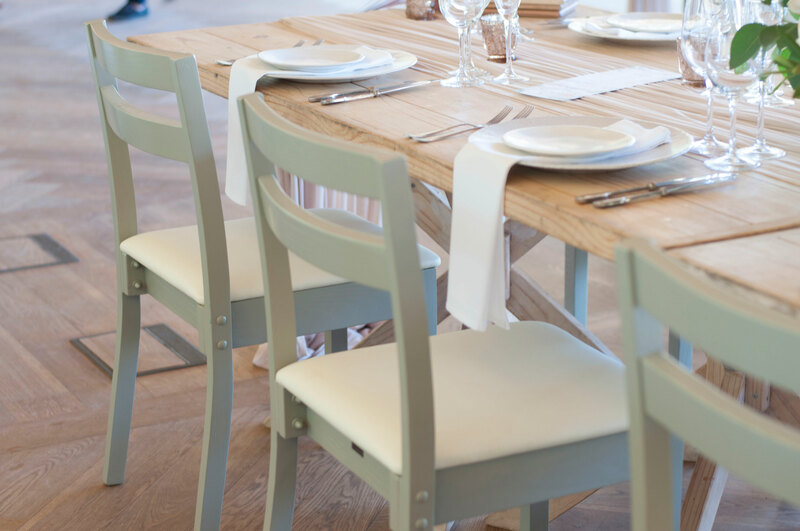 The Sutherland chair is perfect for an event venue as it’s lightweight and therefore easy to move around – and it can stack up to five chairs high. All in all, this was the perfect choice of chair for The Olive Press, a beautiful venue that’s both contemporary and surrounded by history.